Narrative text is a text which contains about story (fiction/non fiction/tales/folktales/fables/myths/epic) and its plot consists of climax of the story (complication) then followed by the resolution. 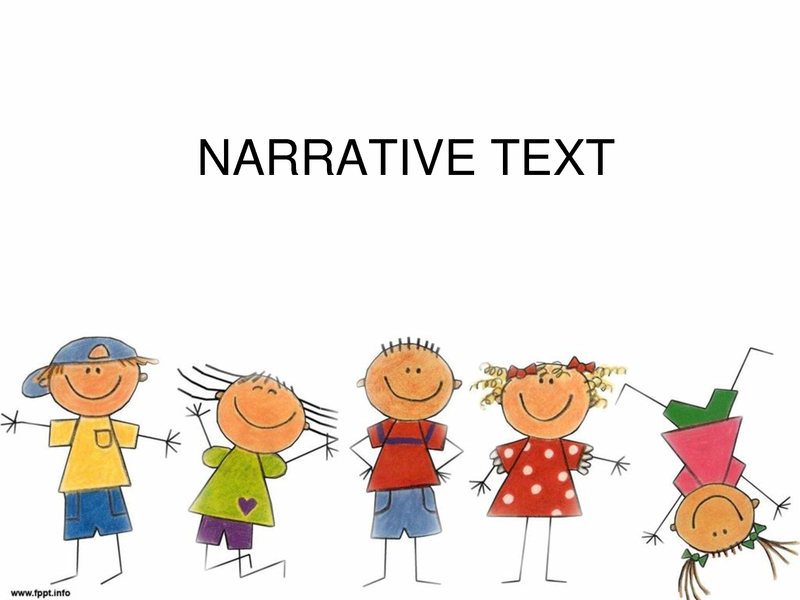 The narrative text short story is telling of a story or an account of a sequence of events. One of the four traditional forms of composition (along with description, exposition, and persuasion). Narration differs from exposition, which can also relate a sequence of events, in that narration need not be factual and may be written from the perspective of a character in the text. The purpose of the Narrative Text is to amuse, entertain and deal with actual or vicarious experience in different ways. Narrative deal with problematic events which lead to a crisis or turning point of some kind, which in turn finds a resolution. Orientation: Sets the scene and introduces the participants. Resolution: The crisis is resolved, for the better or for worse. Use saying words such as said, told, promised. Relating to kinds of text, which student has to complete studying in high school, narrative is a text which retells the story or previous experiences. The purpose of the text is to entertain or amuse readers or listeners about the story. Narrative is basically story and within this, story telling, there are many kinds of narrative - comedy, mystery, romance, horror are some of the commoner types. A poem can also be a narrative if it tells a story rather than just describing something.